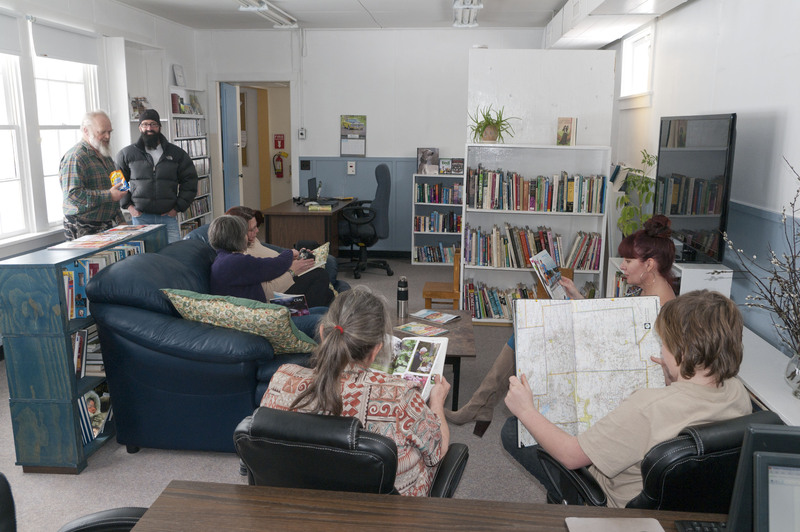 The Lena Schultz Reading Room is located in Dome Creek at 13741 Dome Creek Road, and shares space with the Dome Creek Community Association in what was previously the public school. The LSRR has a good collection of books, DVDs and magazines to read or take home, as well as high speed internet access from two computers or your own device. The Reading Room is open on Mondays from 12:30 - 3:00pm and Thursdays from 2:00 - 4:30pm. The LSRR hosts a number of programs throughout the year, including a book club, children's programs, and festive celebrations like their Hallowe'en bonfire. Drop by during open hours to borrow materials, access the internet, or play a game of Scrabble! For more information about the Reading Room, call 250-553-2388 or email lenaschultzreadingroom@outlook.com.